Shoregirl's Creations: National Coffee Day Blog Hop - Giveaway! National Coffee Day Blog Hop - Giveaway! 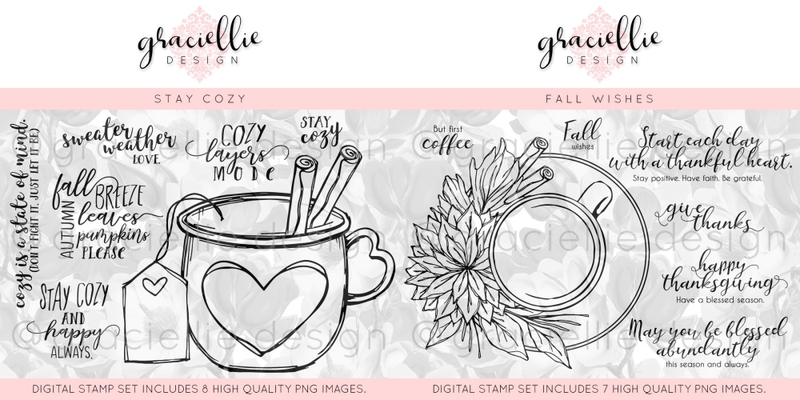 It's National Coffee Day and Graciellie Design has teamed up with Coffee Loving Cardmakers for a fun blog hop! Each Graciellie stop along the way is offering a prize to readers who comment on their posts. Scroll to the end of this post for more details on the prize offered here. Esther Asbury - YOU ARE HERE! My first project is a paper pieced autumn card created with Gracie's Stay Cozy digital stamp set. For my second project, I created some Matchbook Ghiradelli Chocolate Holders. Wouldn't these make lovely favors for your holiday table? 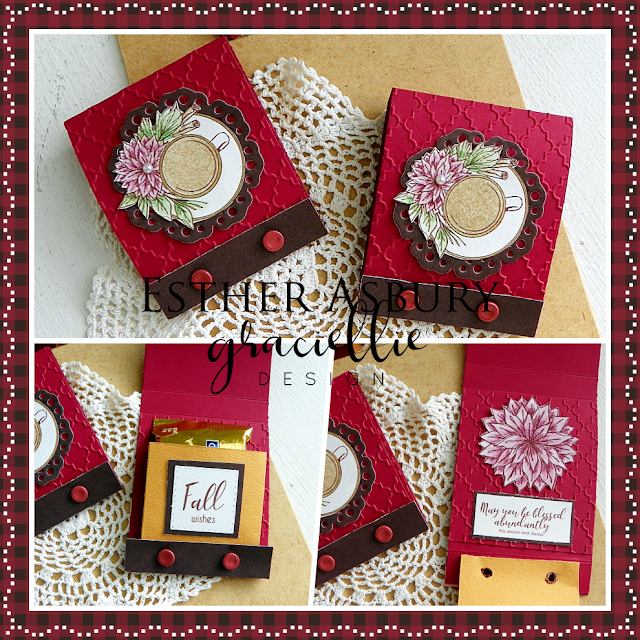 You can find a great little tutorial for these over on the Splitcoast Stampers Website. GIVEAWAY: I'm offering my favorite coffee themed Graciellie Design Digital Stamp set -- Stay Cozy -- as a prize to one random reader who leaves a comment on this post. The winner will be announced on Monday, October 8th here and on the Graciellie Design website. Gorgeous fall color choice for your card, wow, I love the teal. 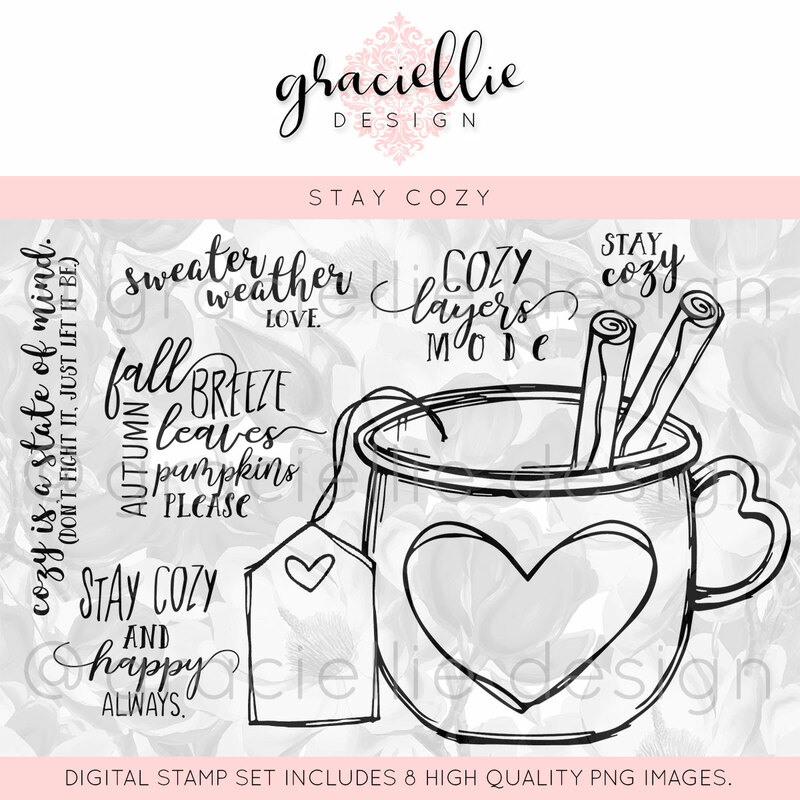 Love the warm fall colors of your Stay Cozy card. I chose that set as my favorite of the newly released images. Your card shows it off so well! Wow these are stunning! Your card rocks my world! I love the colors, textures and layers...makes me giddy! TFS! Your card and treat holder are great. They truly make me feel warn and cozy. Thanks for the inspiration. Wonderful Autumn colors. Like the candy treat holders. Cannot go wrong with Ghiradelli chocolate. GORGEOUS CARDS! I love the leaf embellishments! And colors! Beautiful card! 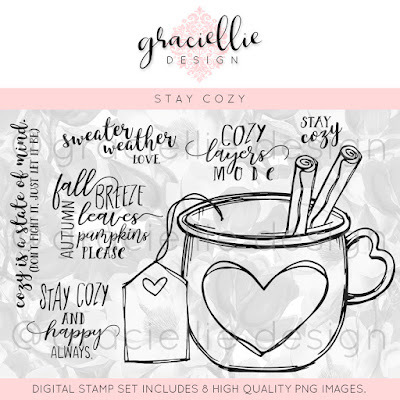 Stay cozy is one of my favorite stamp sets. Fantastic Coffee Cards! Love them! civic club high tea in January. love your creativity with these sets - thanks for the ideas!! Some of the best cards I have seen today! Just stunning cards and stamps. Great stamps, patterns, and designs. Thanks for the inspiration!!! Fabulous Fall coffee card and sweet treat holders! Ester, your cards are so beautiful. I especially love the Autumn one - gorgeous colors, layers, flowers. AWESOME card and little Ghiradelli chocolate holders! Your card is so amazing! I just love all the different colors and layers going on with it! Beautiful card Esher. Love the fall colours you used. And love so much your second project. It's awesome! A stunningcreation Rsther, loving both the warm colours and the textures and dimension, many thanks for joining in with our 'Autumn Glory' theme at Allsorts challenge. Gorgeous cards Ester, the Autumn coffee card is stunning, the colors and all the textures and details are amazing. um WOW. Your work is always so consistently AMAZING. Gorgeous cards! I really love the first one - the layers and colors are stunning! Esther! Always love ALL of your makes... so much texture,depth, detail, color... these are a few of my favorite things!! No exception... everything is SO lovely! Thank you for the inspiration! Wow! Awesome cards!!! Love backgrounds and colors!!! Esther your card is simply stunning it just says Fall in every way!! Love the sets you used!! Love the fall colors. The cinnamon sticks remind me of hot cider - I'm not a coffee drinker so we will go with the cider! Awesome designs! I love the “Stay Cozy” digital set! Beautiful cards. I love the sets you used. The colors just scream fall. Wonderful job!! Wow, your card is stunning and I love the colors you used. Love how by shrinking the images you can make those matchbooks! I just love that set - the sentiment "sweater weather" is one of my favorites. What a stunning autumn card! And I love the chocolate matchbook covers! 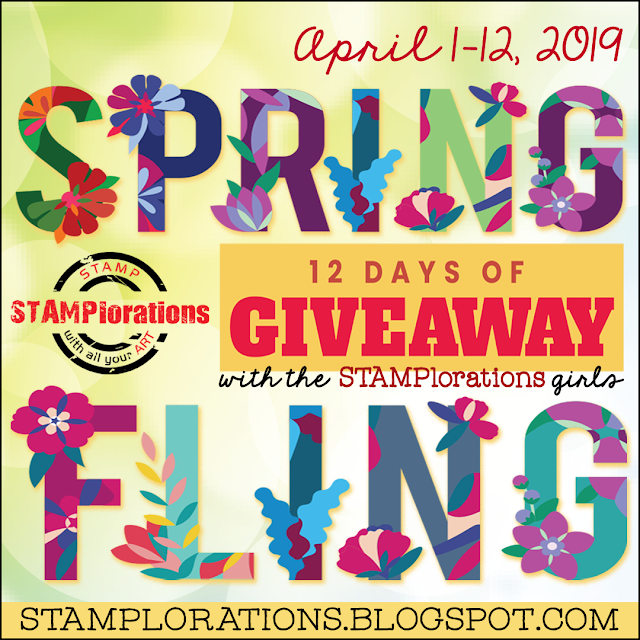 Amazing stamp set prize here! Thanks for the chance to win! The level of details on your cards always blows my mind! These are ALL so beautiful and SO creative... It's always inspiring to see what you make with our digital stamps! Crafty hugs! Fantastic!! Love your paper piercing! Love the fall feeling in your coffee card! Love your idea for the chocolate matchbox, so pretty embellishing of them! What a beautiful and cozy card you created Esther. Such fabulous rich fall colors! Thanks so much for joining in at Allsorts challenge this week! just simply gorgeous cards! Thank you for sharing! Fabulous cards! I really love the first one with such beautiful fall colors! Pretty dimension and textures too! I love both projects but the card just captivated me! Those rich colours and textures are fabulous, and you used my favourite set from the new releases. Stunning projects! Fantastic layers of details and elements. You bring such warms and interest to your cards and projects. great projects! especially luv those matchbooks! Beautiful Fall projects. Love the colors. Esther, they are AMAZING projects. I love them a lot. Your flowers, background and cup on the first card are beautiful. The matchbook is such a great idea for gift, too. Thank you so much for the inspirations.